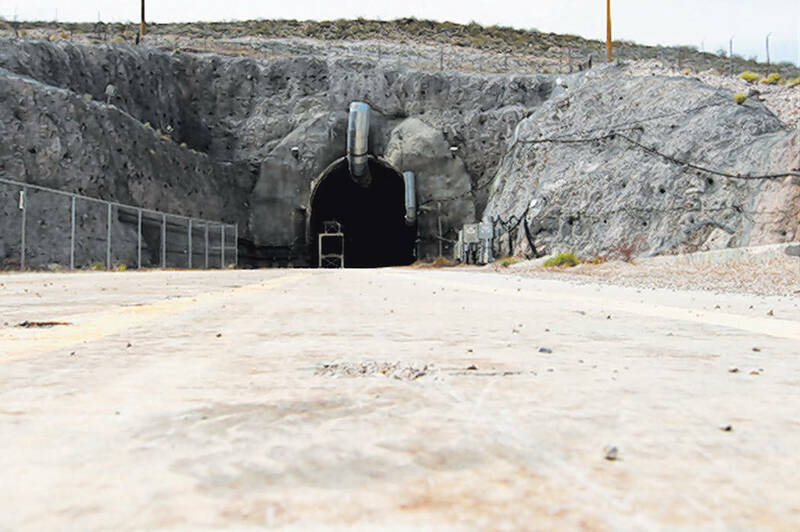 Two recent letters to the Review-Journal suggest there are safe and easy ways to transport high-level nuclear waste to Yucca Mountain. Jim Marsh (“Nuke dump,” Aug. 21) proposes flying the waste in using large C-5A transport planes. Dale Kahre (“Nuke transport,” Aug. 26) proposes trucking the waste in via the new Interstate 11. These proposals, however, are unworkable. Air transport using C-5As has been suggested in the past but never seriously pursued by the U.S. Department of Energy. In addition to safety concerns, the logistics would be difficult and expensive. Spent nuclear fuel would first need to be loaded into truck or rail casks at 72 reactor sites in more than 30 states and then shipped to airports with long runways. The C-5A payload capacity accommodates one rail cask or four to five truck casks. Shipping all the projected waste to Yucca Mountain this way would require more than 20,000 loaded air transports, an average of one per day, every day, for 50 years. The DOE formally abandoned all-truck transportation in 2004, planning that 90 percent of the spent nuclear fuel at reactor storage sites would be welded into large storage canisters and transported cross-country by rail. Removing the spent fuel from storage canisters for truck shipment would be costly and increase worker radiation exposures. While all-truck transportation is technically feasible, shipping all the projected waste to Yucca Mountain this way would require between 75,000 and 100,000 loaded truck shipments, an average of four to six trucks per day, every day, for 50 years. Completion of the I-11 corridor will likely cost tens of billions of dollars and take 20 years or more. Even if completed sooner, traffic conditions and nearby commercial and residential development would likely make the I-11 corridor an unsuitable route for multiple daily shipments of high-level nuclear waste. Both writers seem unaware of the major lesson from this year’s congressional debate over the Shimkus bill (H.R. 3053) that originally promised Nevada annual payments of $40 million and a one-time payment of $400 million. The House Rules Committee rewrote the final language of the bill, which passed 340-72, to clearly state that new legislation could not create a contractual obligation for any future Congress to pay Nevada anything. There is no pot of government gold at Yucca Mountain. The Yucca Mountain Project is obsolete. Federal nuclear waste law must be changed to ensure that a new effort to provide safe storage and disposal will be accomplished with the full consent of any states hosting federal facilities. That is the objective of the Nuclear Waste Informed Consent Act, H.R. 456 and S. 95, legislation supported by Nevada’s entire congressional delegation. Robert J. Halstead is executive director of the Nevada Agency for Nuclear Projects. He writes from Carson City.